A gift box of select French cheeses. 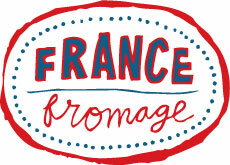 Great French cheeses from all over the country are shipped directly to us from farms and aging caves. We care for them and select the best, cut and wrap them to order, then nestle 'em in a gift box with bread or crackers and send them along to your recipient. Order now, and we'll assemble an homage to affinage with our favorites: Comté from Fort St. Antoine, Camembert from Normandy and French Shepherd Cheese from the Pyrenees.